Extremely clean and confortable - and I mean it for all the environments of the hotel. The staff is completely people oriented and very helpful with whatever I needed. The experience was very good, but food could be better. The staff is so kind and friendly, the pool area is relaxing and beautiful. It was great to see security guards at the beach access. We came back after 9 years and both times it was an amazing experience. Thank you! MAGNIFICENT. GOOD ... WONDERFUL ... NO, MUCH MORE. IT WAS A UNIQUE EXPERIENCE. NEVER BEEN IN A HOTEL WITH SO QUALITY. THANK YOU FOR EXISTING AND GIVE TO ME THIS OPPORTUNITY TO KNOW THE SERVICE PROVIDED. ON EVERY GOOD DAY, IN EVERY SMILE OF ALL CONTRIBUTORS. THANKFUL! Your staff and management team are terrific. This is the third (or fourth?) 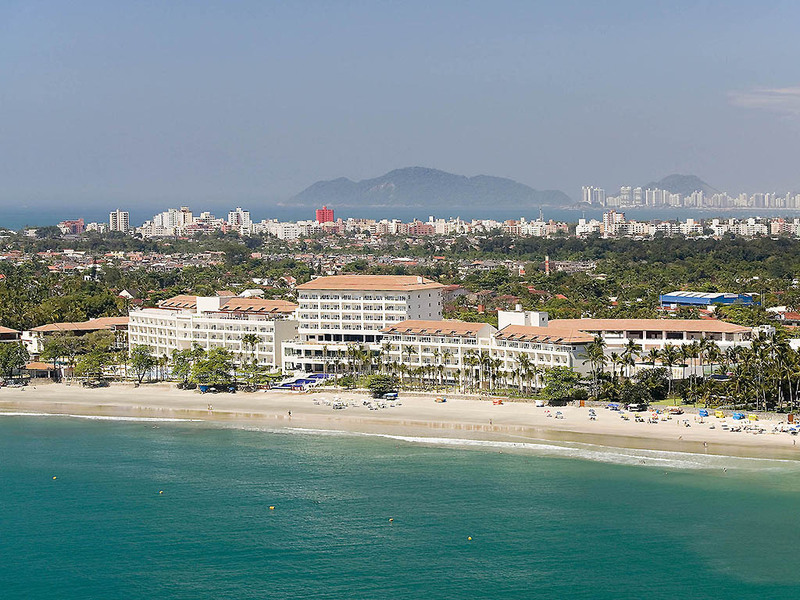 time my family with nonagenarian parents stay at the Sofitel Guaruja. In preparation for or 10 day stay, I emailed the manager Marcia Miranda who with her team helped us make our reservation and arrangements. One of the main reasons we keep coming back to this hotel is because the staff are so caring and attentive. Eduardo, the maitre at the restaurant and his team (Rafaela, Rosana, Doug, Marcelo etc.) reserved the table closest to the buffet so that my parents didn't have far to walk to get their food. The house keeping staff put non slip mats in their shower to make sure they were safer. The pool staff Gelino and Marcelo helped me take my parents both in and out of the pools. The assistant managers Costa and Julio ensured all our needs were met. Small things like these were incredibly helpful. In addition to the staff being incredibly customer service oriented, the hotel setting is beautiful and Chef Patriks food is amazing. Having said all this about the staff, hotel setting and the food, unfortunately, I cannot rave about the hotels rooms that are showing signs of wear and tear and must be renovated in order for the hotel to maintain its 5 star rating. Stay was fine, but was disappointed with the direction for F&B. The new buffet location is a refreshing change aesthetically, but the consolidation of two buffets caused congestion and traffic that was previously better distributed. The food was also noticeably of a lesser standard. Critically, the service seemed severely understaffed, with the everyone appearing to be lost during peak moments due to the volume of customer requests. It felt like cost cutting was occurring at our expense. It was nice that you did away with the annoying meal cards, however. I am still annoyed that children now have to pay extra, especially given the ridiculous price. This drives us to eat outside of the hotel where there are few options, and generally dilutes the experience. Rooms are a bit outdated. Not completely clean.. Bed was perfect. Beachview as well. People in the Hotel very friendly and service minded. Food in general very good. Dear Onno S., Bonjour. We very much appreciate your comments regarding your stay at the Sofitel Guaruja Jequitimar. It is always a pleasure to receive positive from our clients. I will share your comments with our team. I am sure that this feedback will serve as an encouragement to all of our staff as we strive to continuously improve the quality of our services. Thank you again for sharing your experience, and we hope your next visit will be as pleasant as the previous one. Sincerely, Marcia Miranda. Hotel Manager. Sofitel Guaruja Jequitimar. Considering Baixada Santista, it´s a very good hotel. I was working, so I did not have the opportunity to enjoy the areas of the hotel, but I could not see an area for children, so I do not know if there is a specific place to them or not, like a pool with a slide or something else. It would be good to have a person preparing pasta during the lunch or dinner with different ingredients (cheese, ham, onion, tomato, etc. Dear Andrea Dantas Gurgel B., We very much appreciate your comments regarding your stay at the Sofitel Guaruja Jequitimar. It is always a pleasure to receive feedback from our clients. I will share your comments with our team. I am sure that this feedback will serve as an encouragement to all of our staff as we strive to continuously improve the quality of our services. Thank you again for sharing your experience, and we hope your next visit will be as pleasant as the previous one. Sincerely, Marcia Miranda. Hotel Manager. Sofitel Guaruja Jequitimar. It was a good experience, the environment is great and the service is really good. People in general are very supportive, but it is connected to their own actitudes and not processes/training. Room service and restaurants are a clear examples where you get totally different treatment in different days. Nice place. Very clean. Good food. Installations with very good quality. great infrastructure; high quality services, great food and people well trained.